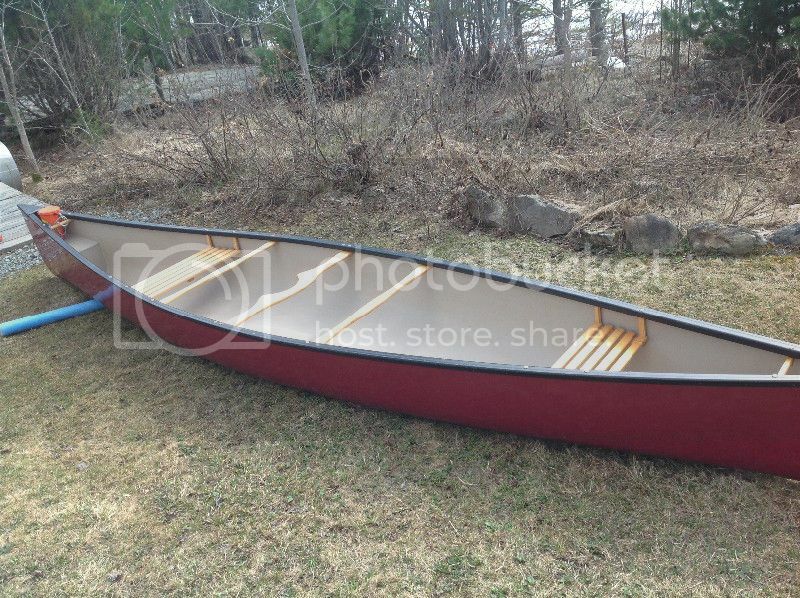 New member here shopping for my first canoe. I am looking for a versatile model to go down calm rivers (2 adults-2 young kids). I found one interesting but the seller includes keywords from many different brands (Royalex, Odyssey, Old Town) ... I'm lost here. If someone could help me find out the brand and model it would be great ! - end depth = 20"
Last edited by MycHo on May 28th, 2018, 9:12 am, edited 2 times in total. That's not any Royalex that I've ever seen - not with the air pockets in the ends. Seats are not from any recent Nova Craft. What's the tag on the front of the first shot? Is that a serial number? I asked this exact question, still waiting for an answer. Also the air pockets would mean its not a foam core material ... that's why I am confused about the seller description. Seller just confirmed that there is no tag anywhere on it. The canoe was part of a special order for a camp. They were not built to be sold in a retail shop. That probably explain why there is no brand, no tag on it. Since its a 3h30 drive from my place, I would Have preferred to learn more on it before getting there. At least, to know the material. Where are you located? 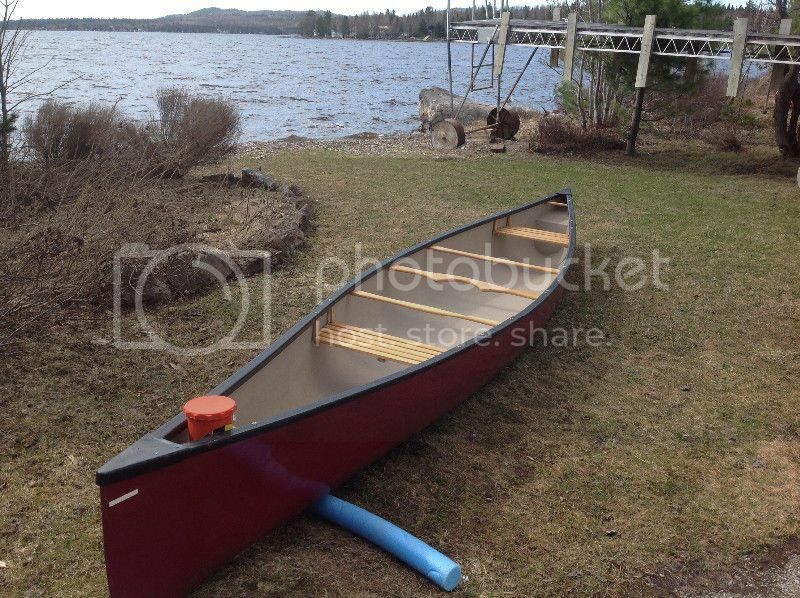 Prospector16 and I will find a canoe for you! There are quite a few manufacturers of generic canoes for rental fleets and other Brands to put their names on. For example, I think Swift Makes some and there will be a small tag on one of the float compartments with their name and serial # on it if it is theirs. Saw one on Kijiji recently. Ask him to look closely at the front of the float compartments for tags, they are really small. Looks good, if its Kevlar its a steel, but most likely fibreglass and even then doesn't look to bad. I’m also in discussions with a builder who is making a fiberglass of the Myth for the Alchemist. They have brand new unit with paint defect for real good price. By law it has to have a Hull Identification Number. The first three letters indicate the manufacturer. Sometimes its a code. But it is searchable. Kevlar is Aramid not steel. Here's an Esquif Presage in Royalex near to you. Maybe a little small for the four of you, and a little on the heavy side ... but a quaility builder and close enough for a test paddle. Looks like Prevost is a lot closer to Ottawa than 3.5 hours. I'll find you a canoe. I check kijiji a dozen times a day. So you want 17 foot for 2 adults and 2 kids? 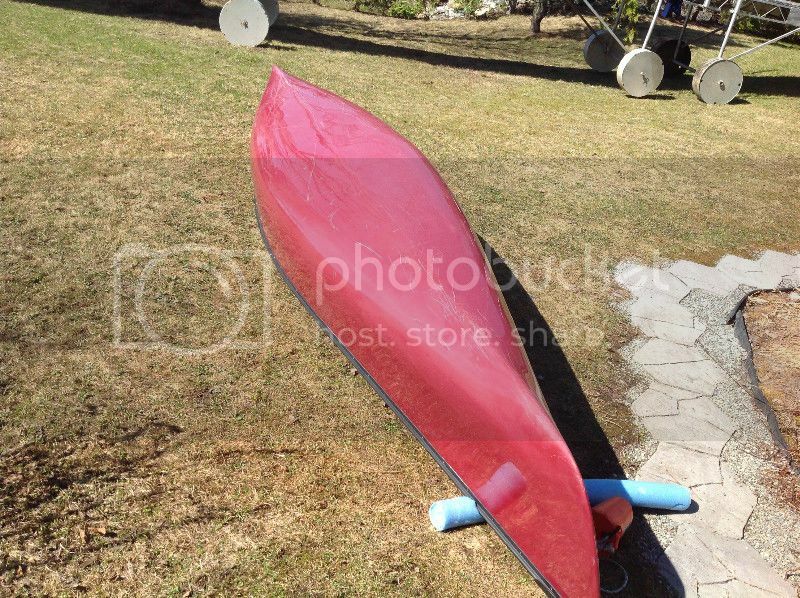 For some reason there are not a lot of good deals that come up on the QC side of the river here, but given this is high season for kijiji canoes there is a good chance we can find you one within a week or two. I'll be happy to go check it out for you and everything. Even buy it for you and hold onto it til you can come get it - maybe for a small fee. Good deals in Ottawa are gone within 36 hours this time of year. Its funny, I went to check them out last week. This guy got a whole collection a canoes and is a real passionate. But, all the presage he got are well used and too rough for me. They all been heavily used and have already big patches on them. A 16 footer would be good for us but nothing shorter. 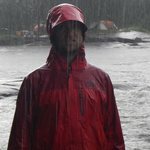 Is there a patch not visible in the photos? That Presage looks great. Royalex can look pretty rough after a few trip then stay that way for many years of abuse before wearing out. It definitely could use some outfitting but the price is fine. Here in Manitoba, I'd pay more than that for a boat that's already been repaired! Yes he got many presage for sale and all of them been repaired couple times. Pictures looks great but in person, I decided to keep looking. But, all the presage he got are well used and too rough for me. If that yellow Presage is not for sale any longer, he should quit with the "bait and switch" and update the photos. What's your budget? Is weight an issue? Is there a design you prefer? That offer from Prospector16 to be your "agent" is gold! There's been a flurry of good canoes come up in the Ottawa area and if he can score one for you ... well, winner winner, chicken dinner!